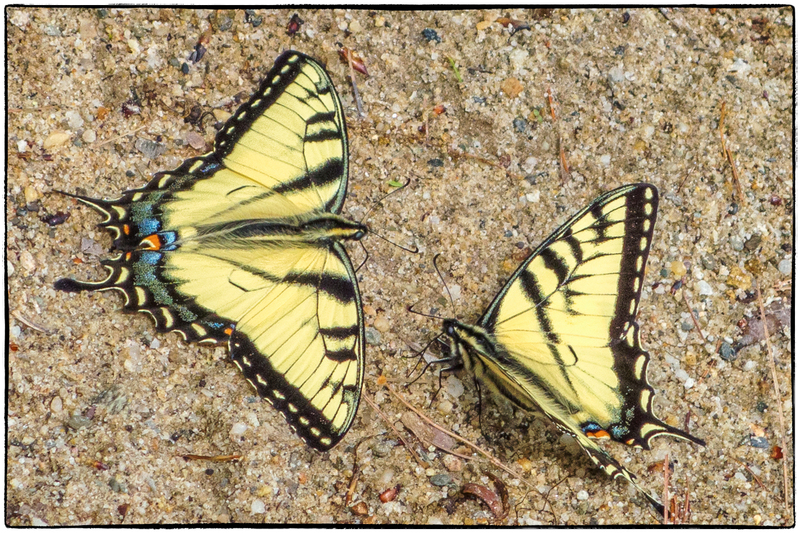 I came across this pair of butterflies on a nearby beach – Moon Beach. At first I thought that they were Monarch butterflies and described them as such in a post on Facebook. I was politely informed that they are not in fact monarchs. So I replied: “I’ve been told in a comment that these are NOT monarch butterflies. Shows how much I know about butterflies. Anyone know what kind of butterfly they are”. Back came the response that they are Eastern Tiger Swallowtail butterflies. You live and learn!